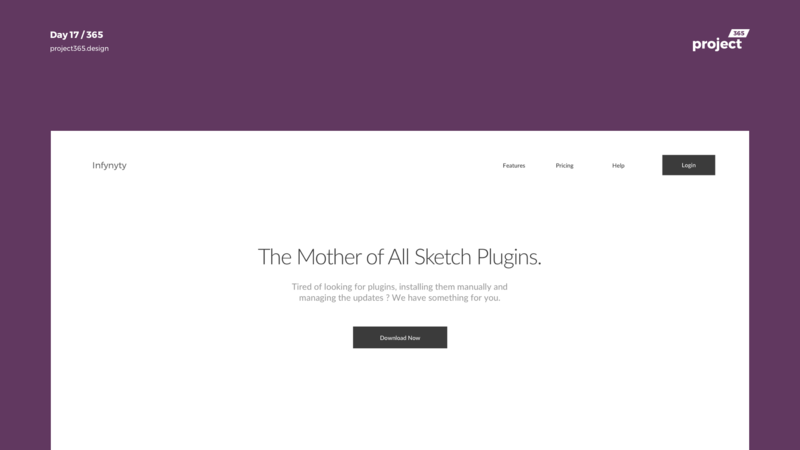 Brief: To design a landing page wireframe for an All In One Sketch Plugin. It’s Wireframe Wednesday and Today, I decided to develop a wireframe for a Sketch App Plugin. Basically, Infynyty will be a Sketch Plugin that does everything for you. It’s the master of all plugins, you can search, install, delete & update all kinds of plugins you wanna have on your Sketch. Infynyty can also sync through accounts, have the same setup of your Sketch on multiple computers of your choice.